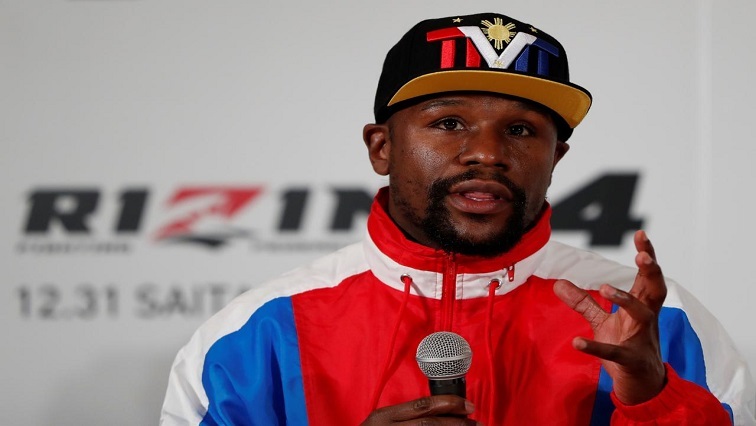 Mayweather to stage "entertainment" spectacle in Japan - SABC News - Breaking news, special reports, world, business, sport coverage of all South African current events. Africa's news leader. Floyd Mayweather added that there won't be any judges present and the bout would not count on the combatants' official fight records. Boxer Floyd Mayweather says his New Year’s Eve bout with Japanese kick boxer Tenshin Nasukawa will be “all about the entertainment”. The nine-minute exhibition in Japan will have no official winner or loser if it goes the distance, and Mayweather said at a press availability at his training base in Las Vegas on Thursday that he was looking forward to the event as a chance to sample “something different”. The contest will take place at the Saitama Prefecture Super Arena in Saitama, Japan, Mayweather said. Saitama is 16 kilometres north of Tokyo. Mayweather added that there and won’t be any judges present and the bout would not count on the combatants’ official fight records. Besides three-minute rounds, the exhibition will take place at 67 kilogram feature “straight boxing rules” and eight-ounce boxing gloves. “This will be full contact competition but the bout is not going on boxing or MMA records,” a Mayweather spokesperson said in a news release. Nasukawa, also in Vegas Thursday, said he hopes his countrymen will get behind the show. “There has never been a Japanese fighter to face Floyd Mayweather in the ring. I would like to make a big impression,” said the 20-year-old, who is 27-0 with 21 KOs as a featherweight kick boxer. “I want to get the whole fight community, the whole country of Japan and the entire world involved in this fight. This entry was posted on 07 Dec 2018,05:56AM at 5:56 AM and is filed under Sport, Homepage Featured Story Slider. You can follow any responses to this entry through the RSS 2.0 feed. Both comments and pings are currently closed.